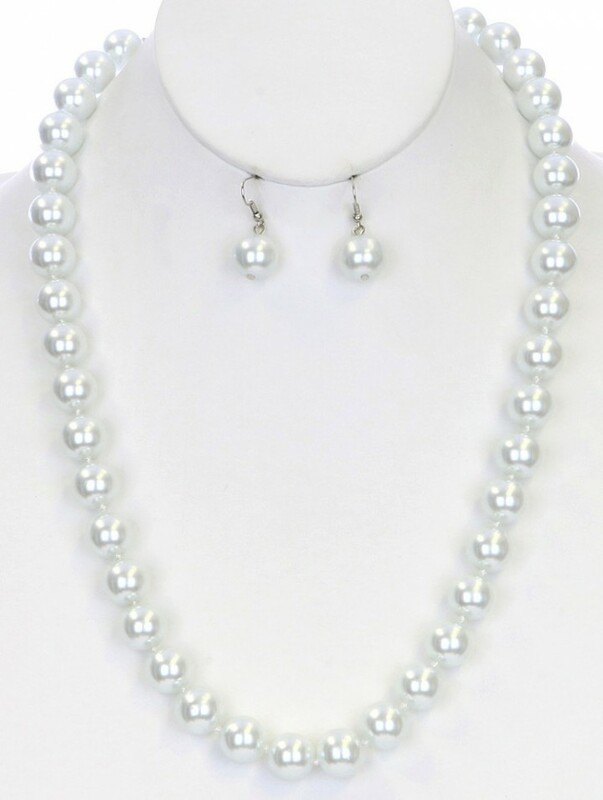 Fashion jewelry chunky long white faux pearl necklace and earring set. 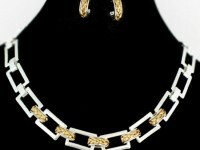 - Necklace measures 23" - 26". 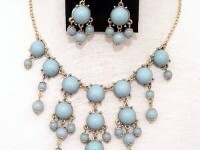 - Dangling earrings on fish hooks have a 3/4" drop. 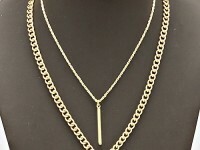 - Each pearl is 1/2". 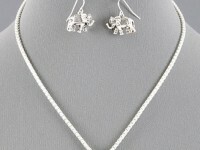 Free gift bag or box with a jewelry purchase while supplies last.